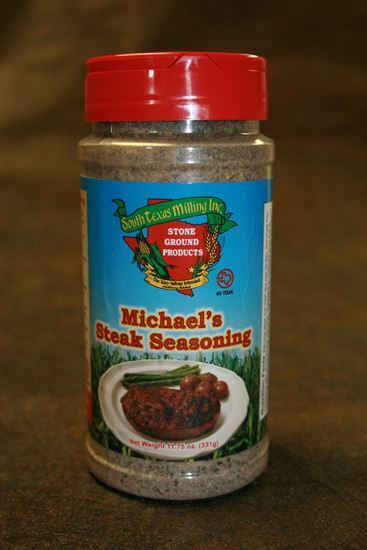 Michael's Steak Seasoning offers 11.75 oz of a richer blend of spices to give your steak that maximum flavor! The shaker allows you to season as much or as little as you like! 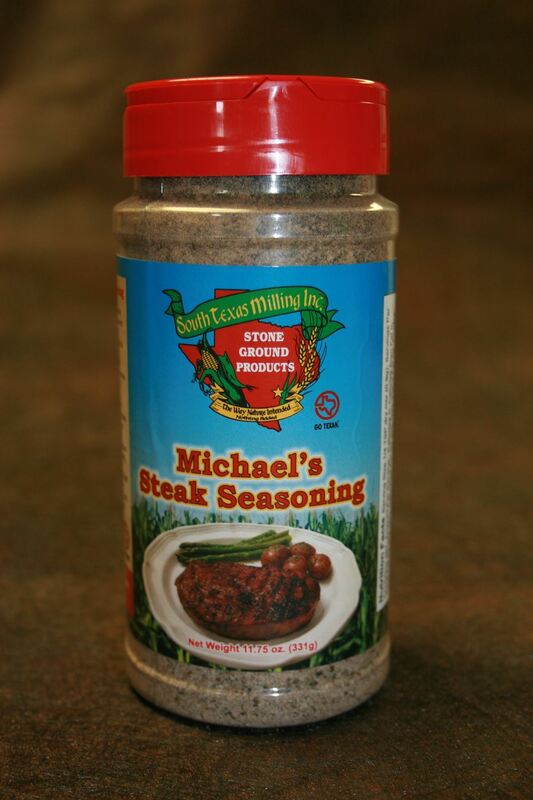 Directions: Just sprinkle steaks liberally with Michael's Steak Seasoning. Cover or place in zip-lock bag 1 hour prior to cooking or place in refrigerator for up to 24 hours for maximum flavor and tenderization. 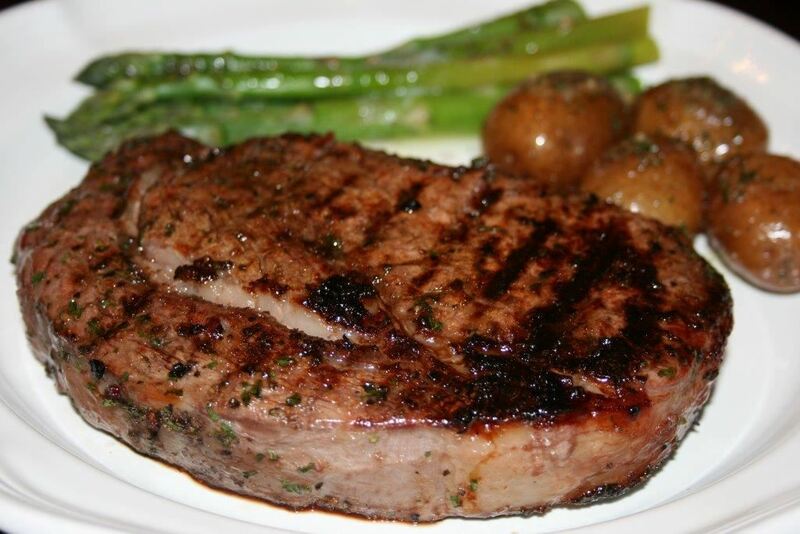 Grill quickly over a hot charcoal fire until your desired preference (or an internal temperature of 170 degrees F). 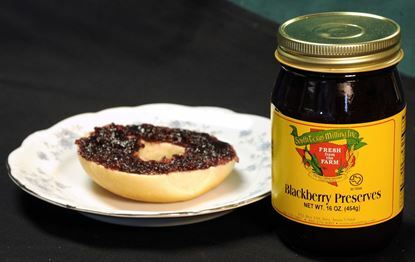 Ingredients: Worcestershire Sauce Powder (dextrose, caramel color (contains sulfites), garlic, CMC gum, salt spices, chili pepper, mustard flour, malic acid, onion, spice extractive (for color), silicon dioxide (anti-caking agent), and clove oil). Salt, Monosodium Glutamate, spices, garlic, onion, natural butter flavor, bell pepper, natural lemon juice powder, (corn syrup solids, lemon juice solids, and natural flavors), Papain, Citric acid, and soybean oil (processing aid). 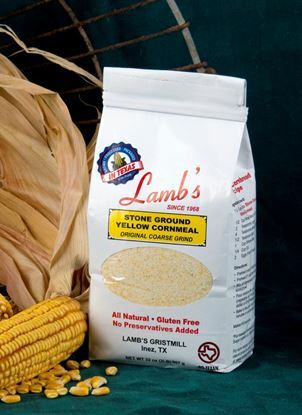 This is the original coarse grind, 2 lb resealable package. Gluten Free product. 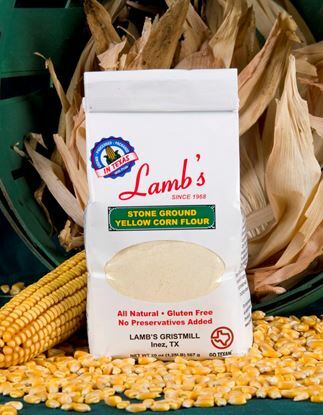 Stone Ground Yellow Corn Flour, 20 oz resealable package. Gluten free product. 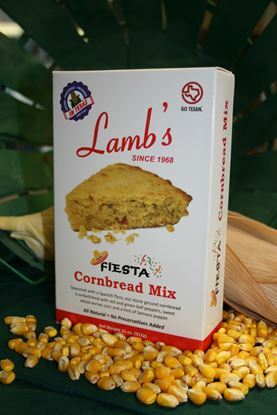 Seasoned with a Spanish flare, our stone ground cornbread is embellished with red and green bell peppers, sweet whole kernel corn and a hint of Serrano pepper.